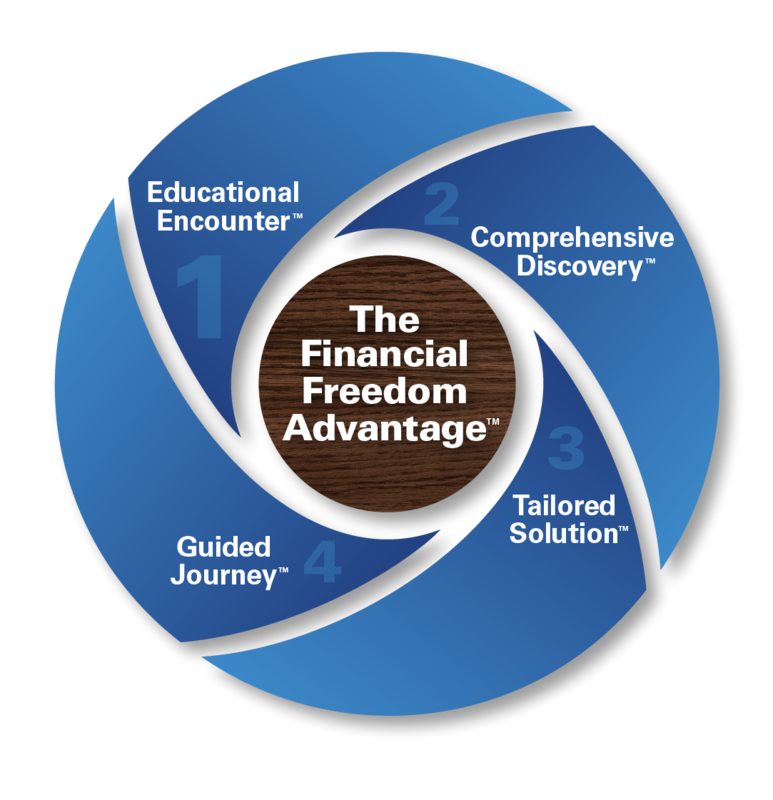 Our comprehensive process will help guide you through an educational and enlightening journey to pursue financial freedom. Simplifying the financial world by leading with education that is inspirational and informative. A fun-filled discovery process that identifies your needs and goals to reveal your compelling future. We teach and deliver unique solutions designed to empower you to pursue your goals. A mutually beneficial, forward-thinking relationship where we implement your Tailored Solution. As part of the Financial Freedom family, you will experience ongoing communication, guidance and support, as well as our Specialized Services.